One week. That's how long since I have seen my old teammates. 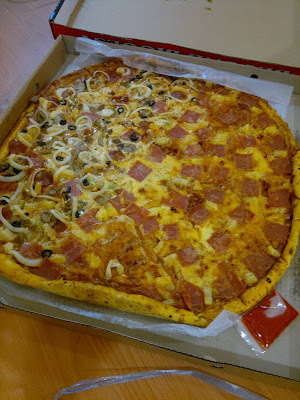 It was last Thursday, October 28 when we celebrated three occasions -- two birthdays and my despedida. 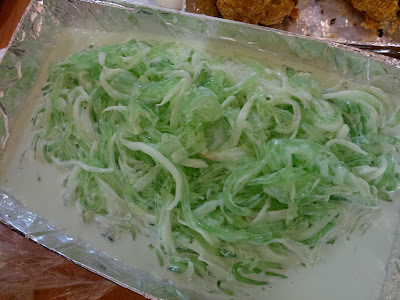 I have transferred to a new team since then, and looking back, I want to share with you what we had at the celebration. 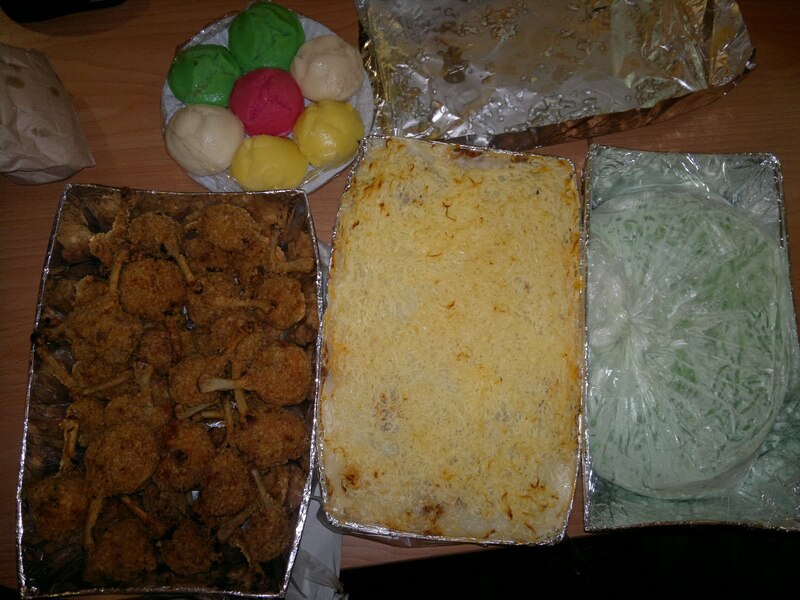 We ordered pizza, lasagna, buko pandan, and chicken lollipops from El Buono Pizza and CCME Homemade Foodstuff. El Buono Pizza claims to be Asia's biggest and finest pizza. 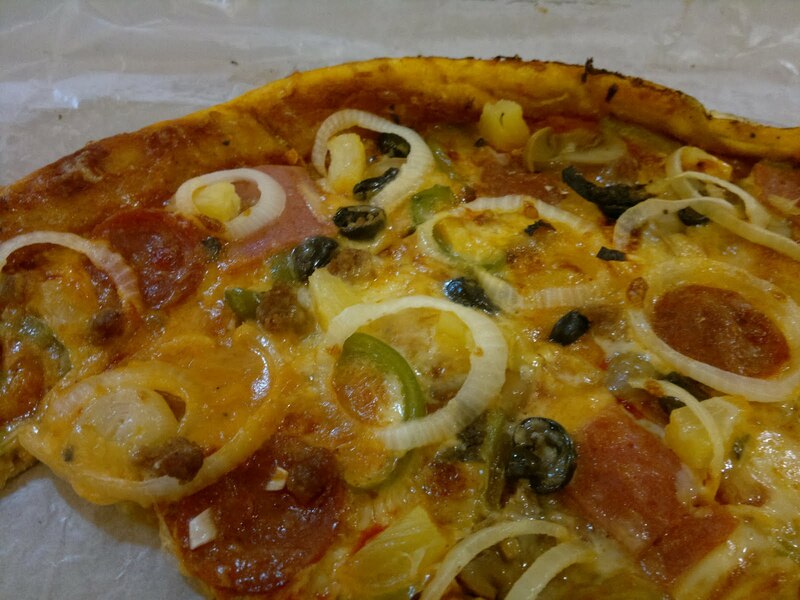 They have branches in Makati, Paranaque and Mandaluyong, and offers various sizes from their smallest slice, 10 inches, 12 inches to 22 inches and their biggest at 35 inches. After watching the movie Eat. Pray. Love., I have been looking forward to eating a pizza that's soft, thin and delicious. 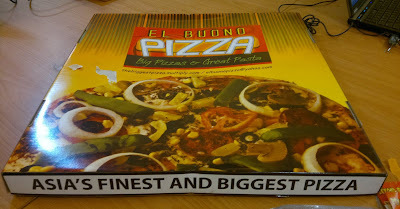 Surprisingly, El Buono Pizza gave me that! It's the first time we've actually tried it, and I can tell that they now have a fan in me. C.C. Mercado Enterprises (CCME) Homemade Foodstuff, on the other hand, offers not just pizzas but a wide variety of main and side courses. 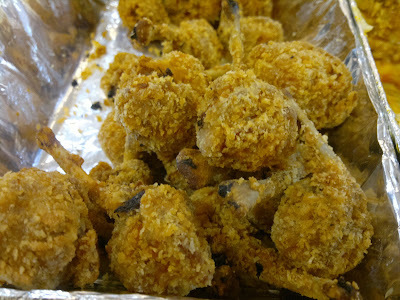 You can order ala carte food items or choose from their packages -- all of which are really budget-friendly. All the items we ordered were yummy and enough to feed more than 15 people. 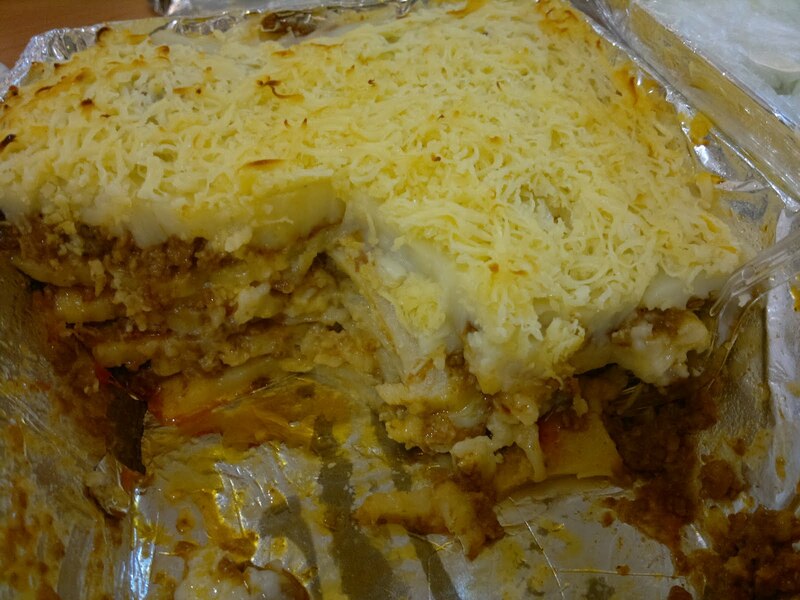 Our team has been a regular customer of CCME, since their food items are not that expensive, comes in big servings, and delivers to Taguig at just Php150. I may not exactly miss the work I did in my previous role, but it is the people in my team that will surely be missed. Moving to a new role and team is as challenging as starting all over again, but I believe God has His perfect plan for me. aww. i missed this :( separate treat nalang sakin. haha.